Pray for Cliff and Judy as they seek the Lord’s direction in the next phase of their life and ministry. They are relieved that Ron Randle has taken over as medical program coordinator. Pray for him to build good relationships with each medical team, good health as he travels, and smooth transition for Cliff and him. Even paddle boarding can create opportunities to share the gospel as Stephen and Marion Spencer witnessed when a guest from the US introduced the youth to paddle boarding on Lake Malawi. This drew 50 Malawian kids, hundreds of adults and the village chief, a respected Muslim, to watch the Jesus film. Pray for this new ministry to grow and change lives. Let us give thanks today for our countless blessings. Among those blessings are very special people, who go where the Word has not penetrated lives, and share the love and word of life with them. Pray for them to sense our gratitude and love in a special way this day. 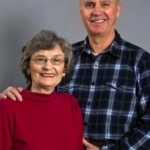 Randy and Martha pray the Lord will give them two or three families who want to read the gospels and hunger for truth. Pray for the M’s in their country to experience the weight and glory of Jesus through dreams and visions. Pray for Kia as she meets regularly with Martha to read scripture. Pray for open ministry doors for sowing the gospel into interior village areas through their working relationships. Leonardo De Chirico’s leadership at Breccia Di Roma gives him opportunities to share the gospel through conferences, university classes, and church worship services. The church continues its support of Il Soggiorno, a refugee center which enables them to befriend 40-50 refugees and share the Gospel. Pray the regular visitors to the church will seriously seek the Lord, and that the church will make good use of its wonderful facility. 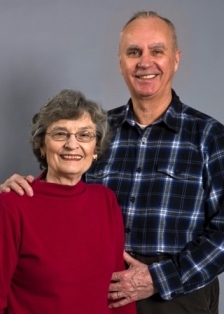 Jim and Sally Foote ask we pray for a pastor for Holy Trinity Church and for wisdom for church leaders in Tyumen, Siberia. Pray for resolution of the Cultural Center’s legal issues; funds to complete the building; strength, stamina, and wisdom for the team; and hearts and minds to turn toward God. As Roger and Abi Lowther are in the US for an eight month home assignment; pray their children catch up to the English curriculum without falling too far behind in their Japanese. Pray for balance in work and family time. Pray they can recruit more musicians and artists to work in Japan. The Young’s report growth in the sewing classes, relationships with women in the community, and the number of women waiting to go through the MEDIC micro-finance training. Pray for the Discovery Bible studies they have begun and that leadership training in Turkey will enable the Youngs to be effective leaders to their expanding team. Pray for Greg and Ginger’s language development as it is hard to develop relationships, share the Gospel, or have deeper discussions about Scripture and the church, without mastery of the language. Also pray for Greg, Ginger and Jude’s health as they have experienced recurring illnesses. Pray for Dave and Robin Dillard as they give oversight to the three Classical Schools of the Medes and work on outreach programs to their Muslim neighbors. Pray they can balance time and energy as they recruit additional staff for the schools and train them.